With the surge in popularity in our first few months of opening, it’s clear that Poke Bros is the best fast casual dining option in Columbus. (No bias, honest!) The best Ohio poke restaurant offers the freshest fish with nutritious ingredients offered just like Chipotle, only you pick what to mix in the bowl. Blowing up the Columbus scene with two locations in downtown and Polaris, if you’re new to poke bowls in Ohio you’re in for a treat. Other menu items include spicy kani salad, seaweed salad, and poke nachos for sides and dessert. Customers will find loads of new flavors to try in different combos every visit. The fast-casual concept is a hot trend to hit the Columbus market putting new concepts like poke on the map. 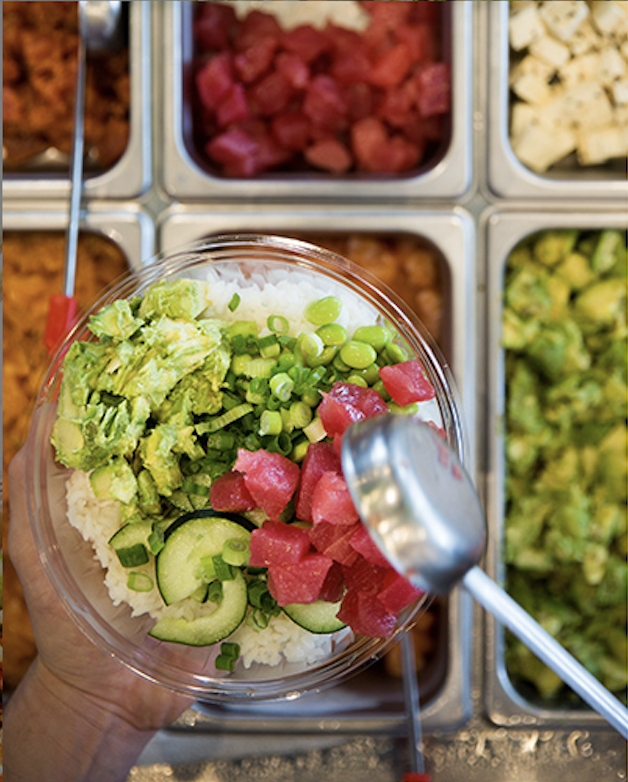 Poke bowls in Ohio are bound to be the next big thing as customers crave healthy, nutritious meals in a customizable bowl that is quick and affordable. Poke chains have popped up all over the East and West coasts with a new trend moving into the Columbus scene and beyond. Don’t miss out on the best poke in Ohio. Available now in two locations, Poke Bros is growing rapidly as the desire for new flavors and trends hits the Columbus scene!